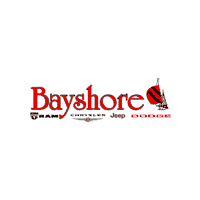 For the Houston and Mont Belvieu car seekers who are browsing our new and used inventories for a Chrysler, Jeep, Dodge, or Ram vehicle, rest assured that you are in great hands when it comes to finalizing your future lease or purchase with our finance center here at Bayshore Motors. Our finance team has years of combined experience and knowledge, and when it comes to finding a low-rate loan that fits your budget, our advisors go above and beyond to find a rate that’s right for you! When the time comes to drive home your new Jeep Cherokee, Chrysler 300, Dodge Durango, or Ram 1500 pickup truck, our finance team walks you through every step of your new vehicle transaction. We can ensure our customers that we make the car purchasing and leasing process simple, as well as convenient, and we are ready to answer any questions or concerns you may have about your car lease or loan. We do all the intricate work for you to save you the time and hassle, and we work with some of the top auto loan lenders in Houston and Atascocita, TX so finding a fit to your projected budget is simple! Speak with One of Our Financial Advisors Today! When you’re ready to make moves toward your future vehicle lease or purchase, feel free to get the ball rolling by filling out our online finance application. It’s quick, simple, and all your private information is safeguarded with us because we do not sell or give out your information to any third parties without your consent. Take the first step toward your brand new car, truck or SUV and get started today. If you have any questions on your leasing or financing options, fill out your contact information below or give us a call, and we’ll gladly get you started on your car buying journey. We look forward to serving you, and we’ll see you in our finance office soon!